What a year 2017 has been! It's been a year of so many changes for me; including changing my job, car and moving into a rented house with Dan. One of the main things I've learnt this year is that happiness is such a valuable thing, and I'm finishing the year feeling truly happy and content. 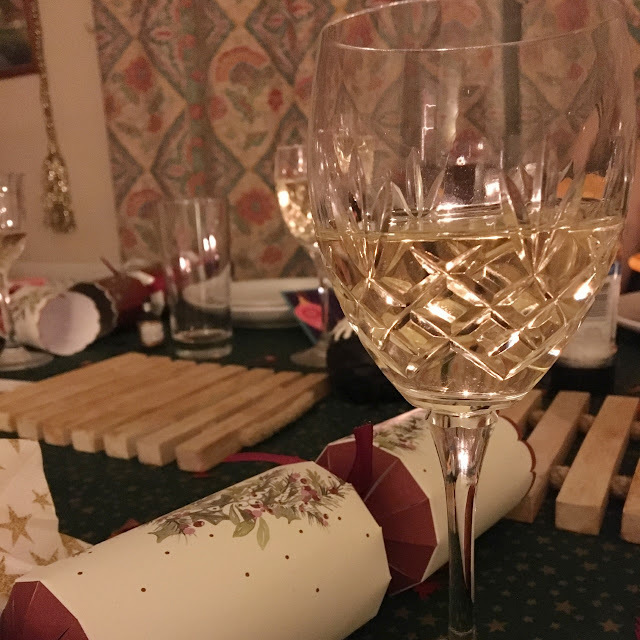 I've decided to do a little round up of my year - with links to my month in numbers posts which I've enjoyed writing this year. January was quite possibly the busiest month of the year. Not only did I start my new job, but two days before I moved into a little one bed house with Dan. An exciting, but exhausting, way to start 2017. Nothing major happened in February, but we did get the chance to catch up with friends from uni which was lovely. March is a busy month for family birthdays - especially in 2017 as my sister turned 21 and my grandma turned 80! 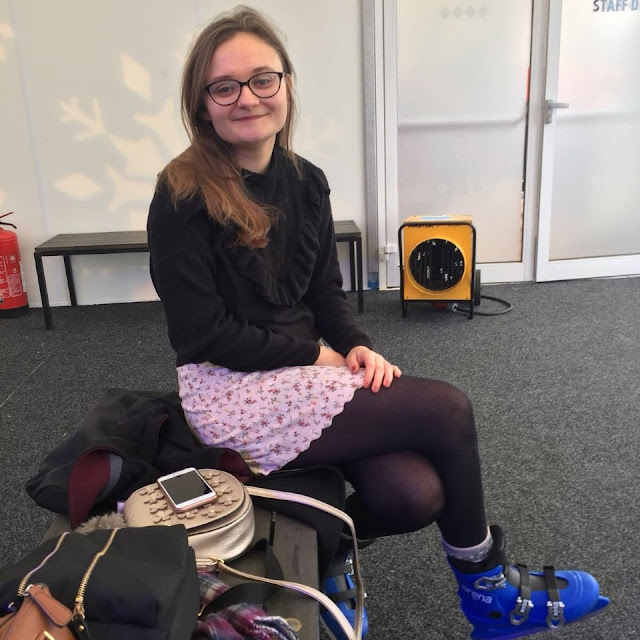 We had parties to attend, and I took my sister to London for a day of birthday fun. In April, I visited Poland for the first time ever with a weekend break in Warsaw. We spent time with my grandparents, and I upgraded my car to a mini one which I love, and has made me a much more confident driver. May was a busy travel month. Dan and I headed to Valencia for a couple of days, and later that same week I jetted off to Stockholm with my friend Mary. I'll admit that June was spent invested in Love Island, but I didn't put all of my eggs in one basket - and headed to Canterbury for a hen do as well. I headed to the Battle Proms at Hatfield House with my work colleagues, and spent a lot of time watching Jane the Virgin, which is hilarious. In August, I visited two new countries (Luxembourg with my mum, and Czechia with my Dad) and I also read eight books - reading in the summer is one of my favourite things. Dan and I headed away to Centre Parcs for a week of R and R. I'm convinced that we need to go on a staycation yearly, because it was so relaxing. I'm eyeing up Cornwall for 2018 as I've never been! My baby sister graduated with a first class degree (I'm so proud! ), I turned 24 and also saw Zara Larsson with my best friends. What a month! October is always a family filled month, and I love it. November saw my Dad ordained as a Baptist minister. I'm so proud of what he's achieved, and celebrating with the family (and the 120 people who turned up because my dad is brilliant) was a highlight. A busy, but lovely and festive month. We had Christmas for the first time together alone, and spent a lot of time with friends and family. A lovely way to round off 2017! Here's hoping for as good a year in 2018! I'm looking forward to what the new year will bring, and hope to continue with my month in numbers. Wishing you all health, wealth and happiness for the coming year! What did you get up to in 2017? December is one of my favourite months of the year. I love feeling festive, and spending quality time with all of my loved ones. Every year I feel so lucky to have such a wonderful family, and to be in the position I'm in. December has certainly been a month full of love! 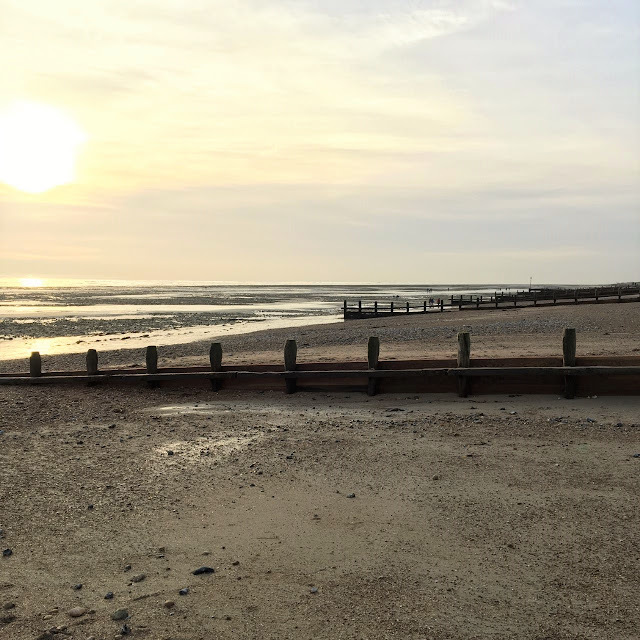 2 visits to Worthing to celebrate Dan's 25th birthday, and Christmas, with Dan's family. 1 trip to Portobello road market with one of my colleagues and our ex-colleague - it was great to catch up. 4 Christmas celebrations including our first Christmas in our own home which was very special. We ate Christmas lunch on deck chairs! 5 books read, 4 of which were festive reads and I enjoyed them all thoroughly. These books took me over my target of 52 books in 2017, so I was chuffed to meet that goal! December was a lovely month, full of lots of time spent with family and friends which, for me, is the most important part of the festive season. 2017 has truly been a whirlwind of a year. I've changed jobs, moved house and treated myself to a new car, as well as exploring four new countries! At the beginning of the year, I set myself a couple of goals so I thought I'd have a look back at them and see which goals I can tick off! Finally buy a light-box and focus a bit more on my photography! I found it very frustrating last year, but only time will tell if I can improve it a little. I did buy a lightbox, but I certainly haven't focused more on my photography. Rent, or buy (if we miraculously find a house!) a place to call our own. We're excited to be moving out but also so grateful to my parents for putting up with us for nearly two years! It's definitely the next step for us to take and I am so looking forward to it. Dan and I moved into a little one bed house at the beginning of the year, and we're still loving being together! Go to at least three new different places: maybe even a new continent! I love exploring the world and seeing new places so this is another year to go continue to do so. I'd love to visit Germany or Poland this year! 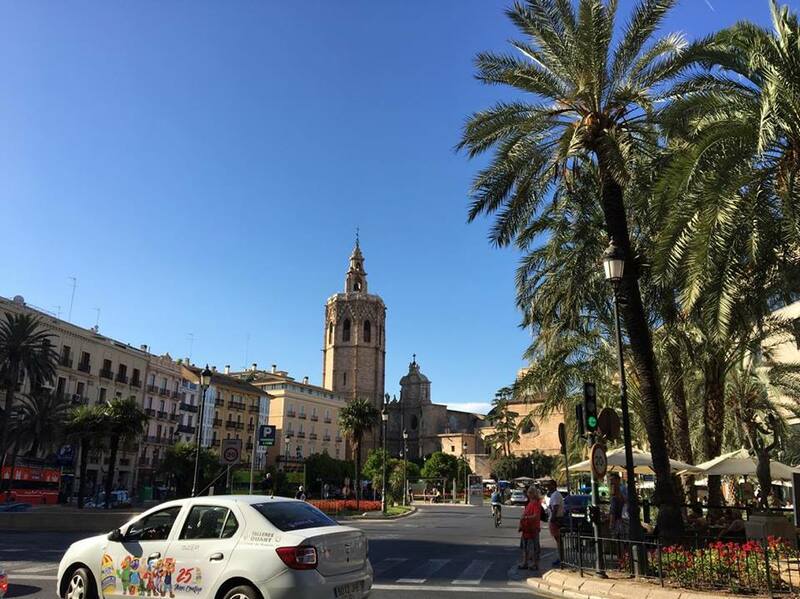 I visited four new countries, and another city in Spain! One of the new countries I visited was Poland as well which was incredible. Learn a new skill. Learning a language, or a bit more about SEO would be great. I'm hopefully going to be able to have a bit more time to do so as well so that's exciting! Technically, I'm not sure I can count this but I've had to learn lots of new skills with my new job which has been exciting. I'm really enjoying it so far. A very generic one, but I want to get a bit more active! I really enjoy swimming but memberships are so expensive. I want to find something that gets my heart pumping without spending too much money! A definite FAIL! Keep up with my gratitude journal; I have been doing this for two years now and really helps me to focus on the good. Especially on bad days! I actually decided to stop writing in my gratitude journal this year because it stopped being beneficial for me. I'm still aware of being grateful but no longer feel the need to write these things down daily! 2017 has been a year of change for me, and I've loved it. I've seen some incredible places in the world, settled into my new job and house - I'm excited for what this next year will bring. Did you set yourself any goals for 2017? 2017, much like 2016, has been good to me in terms of travel. I've visited four new countries (Poland, Sweden, Luxembourg and Czechia) and seen more of Europe. It's safe to say that I've made the most of living 15 minutes away from Stansted airport. Our first trip of the year was Warsaw in April. I loved the Polish capital city, and was so excited to finally visit Poland after wanting to visit for years. It's a different city to ones I've visited before, with picturesque streets in close proximity to sky scrapers but it had a nice vibe to it. The food was good, and we had such a lovely couple of days exploring. If you're looking for an affordable city break, Warsaw is one to go to! In May I went away twice. My first tip was to Valencia with Dan. Valencia is a pretty city, but it definitely wasn't my favourite of the Spanish cities I've been to. It was perfect for a sunny break in May, and if you've been to Madrid or Barcelona and are looking for another place to visit in Spain, Valencia is worth adding to your list. A few days later I was jetting off to Stockholm with my friend Mary. I fell in love with the capital of Sweden, it's such a cool city to visit. It was lovely to be so close to the water all the time, and there is so much to see in Stockholm. Museum island is definitely worth a visit. Stockholm surprised me, and in a really pleasant way. I'd love to explore more of Sweden in the future! My first trip in August was to Luxembourg with my mum. I'm not sure I'll ever go to a city as beautiful as Luxembourg - it truly was a fairy tale village. It's quite a small city, but we spent three lovely days there. We could have easily taken a trip out of the city centre but we stayed at a lovely hotel with a spa and pool so decided to have a bit of a restful time as well. Prague was my final trip abroad this year. I went for four days with my dad, and we had a lovely time exploring the Czech capital! We walked miles, and saw some beautiful views across Prague. It was a much bigger city than I thought and there was so much to see. Prague was a very beautiful city, and I feel like whilst we saw so much, we only scratched the surface! I've had such a fun time this year exploring more of Europe. There are so many different and vibrant cities, and I'm looking forward to exploring further in the future. Where did you travel to in 2017? A couple of weeks ago I was sat at work on my lunch break, and my mum sends across a picture of the handsome chap below. After a very quick phone call, mum was heading to Wood Green Animal Shelter to visit him, and about three weeks later he is happily settled at home with my parents! Huge thanks to Georgia from Mapped Out for these pictures! 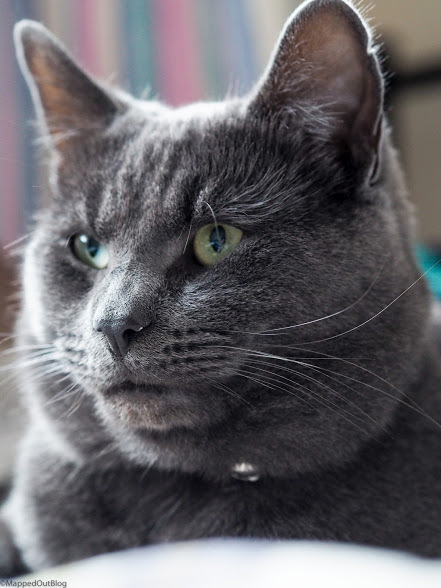 We are all pretty smitten with this lovely chap. Whilst I no longer live at home, I have been really enjoying visiting our playful Beau! It is so funny to watch when he is in a playful mood, as he chases his ball around the living room at such a fast speed. At the moment, he isn't a massive fan of cuddles but he is getting more used to being around people and he apparently sits in whichever room my parents are working in at home which is nice. Wood Green animal shelter opened in 1924, and now has three locations in Heydon, London and Godmanchester. I have to say how impressed I was by the shelter in Heydon when we visited Beau. Each cat had such a huge amount of space, and you could tell that the people working there genuinely cared about the cats. 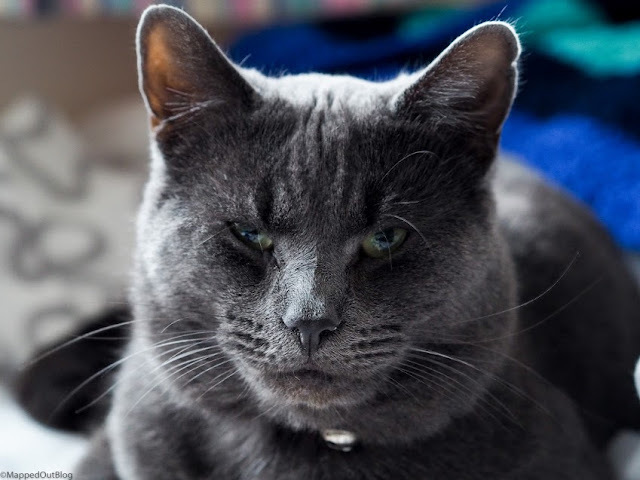 Beau was sadly abandoned when he was younger, and spent a bit of time as a stray before being taken in by another family. Unfortunately, he didn't get on with their cat and so ended up at Wood Green. Thankfully Beau's story has a happy ending! My parents are so pleased with how Beau is settling in, and it's so nice that they have been able to give this lovely cat a new home. 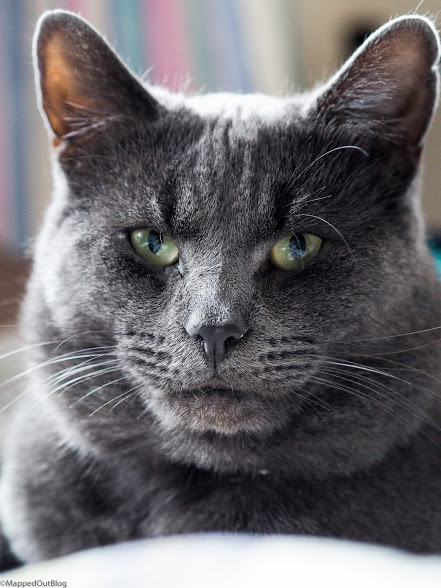 If you live near one of the centres and are looking for a cat yourself, I'd really recommend visiting the centre. 1 new blog design, and I'm really loving it! It's sleek, and much more user-friendly than my last site. I'm so happy with it and am feeling quite inspired to blog at the minute. 3 books read. I'm currently half-way through Homegoing by Yaa Gyasi which is both beautiful and heartbreaking. Well worth a read. 1 trip to the ice rink in Cambridge with Georgia from Mapped Out which was so festive and fun. We also took some outfit photos - sneak peak above! 2 hours on the phone with my friend who lives in Kuwait, which was lovely. It's quite hard to catch up with friends sometimes so it was so nice to spend a few hours catching up! 1 day celebrating my Dad's ordination after 4 years of his hard work. It was a lovely day, and the amount of people that showed up was so touching. My dad is one of the kindest people you'll ever meet, and works so hard in his community so it was nice to see how appreciated he is! 1 new cat who I'm sure will be introduced on Suitcase and Sandals very soon. November has been a fantastic month, full of family and friends as it should be! I've enjoyed celebrating with my family, and taking some me-time too. How has November been for you? As Dan's birthday is on 1 December, we don't usually start to feel Christmassy until his birthday weekend is over. Feeling festive is one of the best feelings in the world, so when Dan's birthday has been and gone, we do all we can to get that feeling. Here's to cosy nights in with the Christmas tree glowing and the candles burning! Of course this was going to be on my list. I can't listen to any of Buble's songs without being reminded of Christmas. A few personal faves are Feliz Navidad, and Blue Christmas. Buble's Christmas album always reminds me of the first few Christmasses with Dan so it has an extra special festive feel to it. 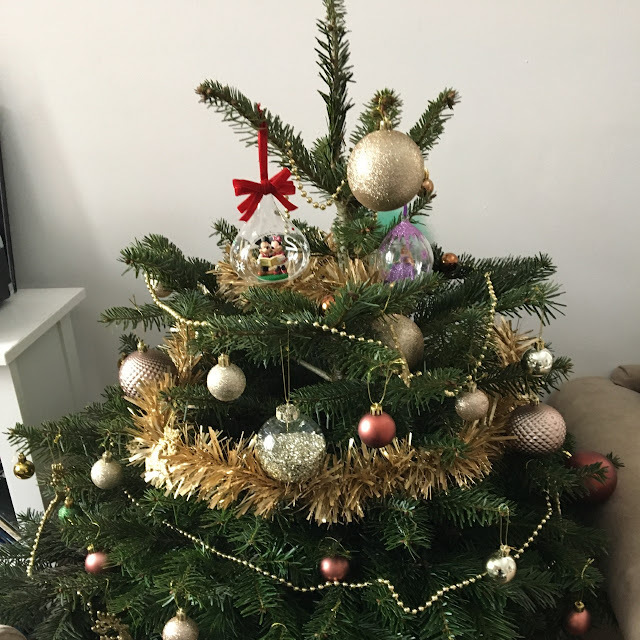 We also used to listen to Christmas songs as a family whilst we put up our tree when we were younger so it always brings back some lovely memories. Reading is one of my favourite things to do, as I've mentioned on here probably a thousand times. Getting cosy with candles and a festive book is one of my favourite ways to get into the spirit of Christmas. Usually I go for Christmas chick flicks as they are easy to read but usually get me in the festive mood because they are about love and friendship! Christmas films are easily one of the best parts of Christmas. With so many to choose from, there is nothing better than spending the evenings in the lead up to Christmas watching a festive flick! A few of my faves are The Holiday (Jude Law! ), Miracle on 34th Street and Elf. I'm so excited to watch ALL the Christmas films. Another way I feel extra festive is to do all of the above with loved ones! Christmas is all about love, and spending time with family so if you can watch your favourite Christmas film, why not invite your bestie over, or have a festive book swap with your Mum? What do you to feel festive? A couple of weeks ago, I headed to North Pole, Cambridge with Georgia from Mapped Out blog. Georgia had been sent some tickets, and kindly took me with her! We went on the first Saturday it was open, and selected the earliest slot possible which is 11am. 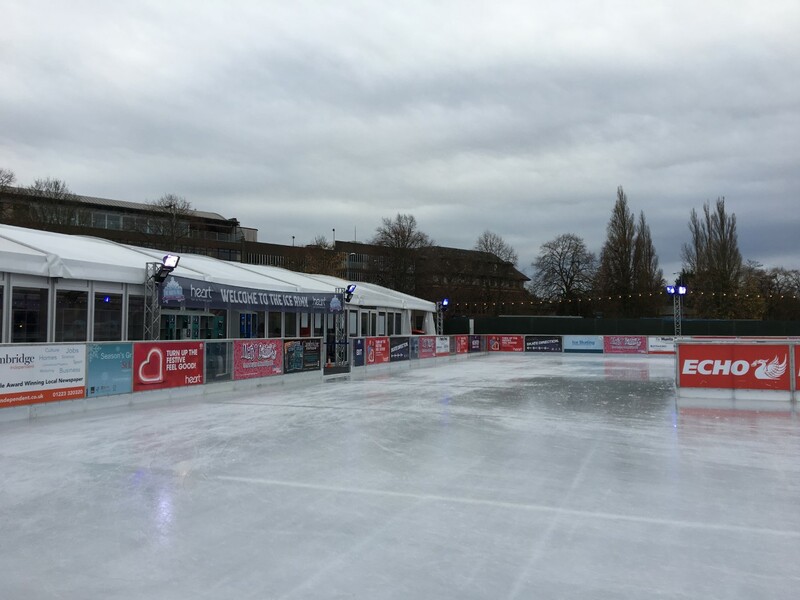 If you're looking to go, I'd recommend getting there early so the ice rink isn't took busy! It's open until 8 January so there's still time to go. It's worth noting that you need to bring a £2 coin with you if you want to use the lockers. As we were going alone, we made sure to bring one as we knew we'd want to store our things. We arrived about ten minutes before our session which was plenty of time to get our skates on before heading out on the ice. Each session is 45 minutes long, and we found that was the perfect length of time. 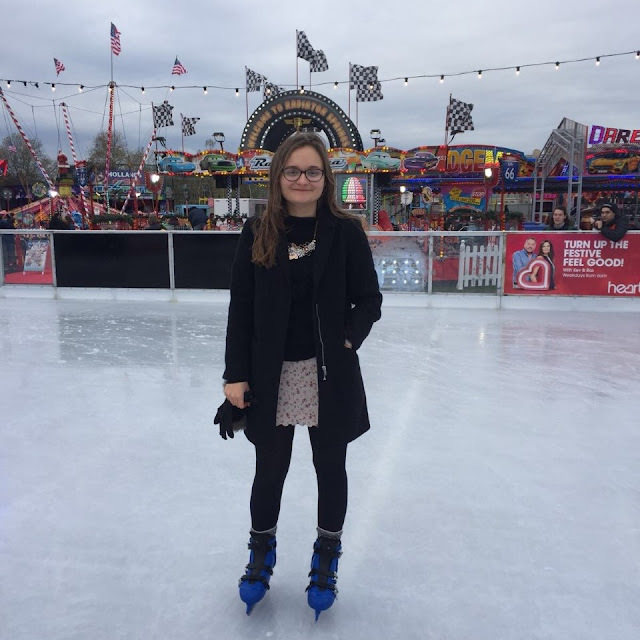 As much as I love ice skating, I forget that it is quite good exercise so 45 minutes is the ideal length of time to spend on the ice - especially in the English weather! I love being on the rink, we used to go ice skating quite a bit when we were younger as my mum's cousin's wife is an ice skating teacher so it always brings back lovely childhood memories. Ice skating is the perfect festive activity and I much preferred ice skating in Cambridge, than somewhere busier in London. 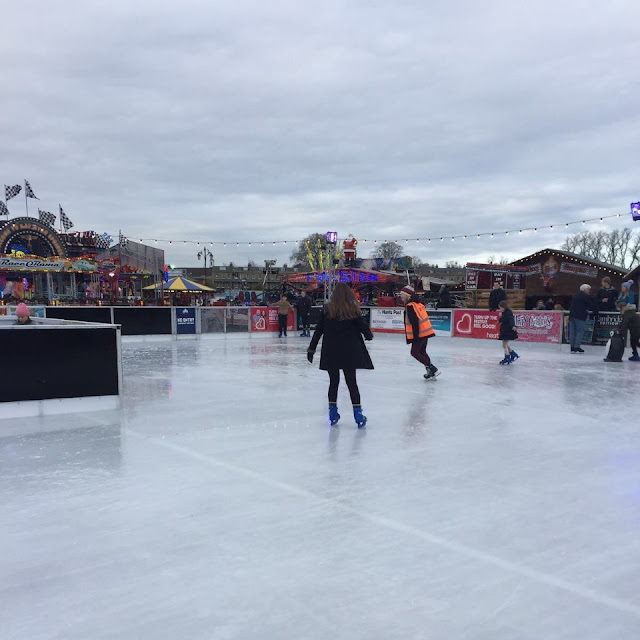 There were enough people on the ice for there to be a good festive atmosphere, but Georgia and I could skate around happily without too much fear of people skating into us. Within the North Pole area on Parker's Piece, there are also some rides and food stalls as well which makes it the perfect place to visit with your family. There's a lot to do, and the whole area feels incredibly festive. Visiting made me very excited for Christmas! Thank you Georgia for taking me along. Have you been to the North Pole, Cambridge? Self care is a concept that has been floating around for a while now, and I'm a firm advocate. 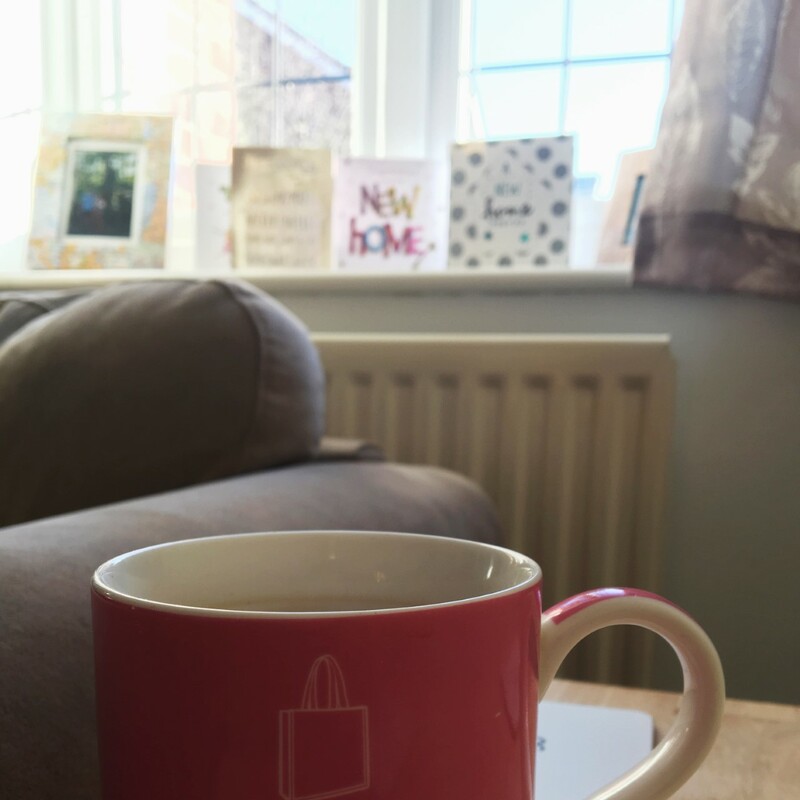 One of the most important things I learnt at university was to enjoy spending time alone, and I definitely practised alot of self care whilst I was living in Canterbury. Self care is something I do when I'm feeling a little low, and can feel myself getting stressed. If I take a moment to treat myself with a bit of care then everything else will be that little bit easier. Reading has, and probably always will be, one of my favourite past times. 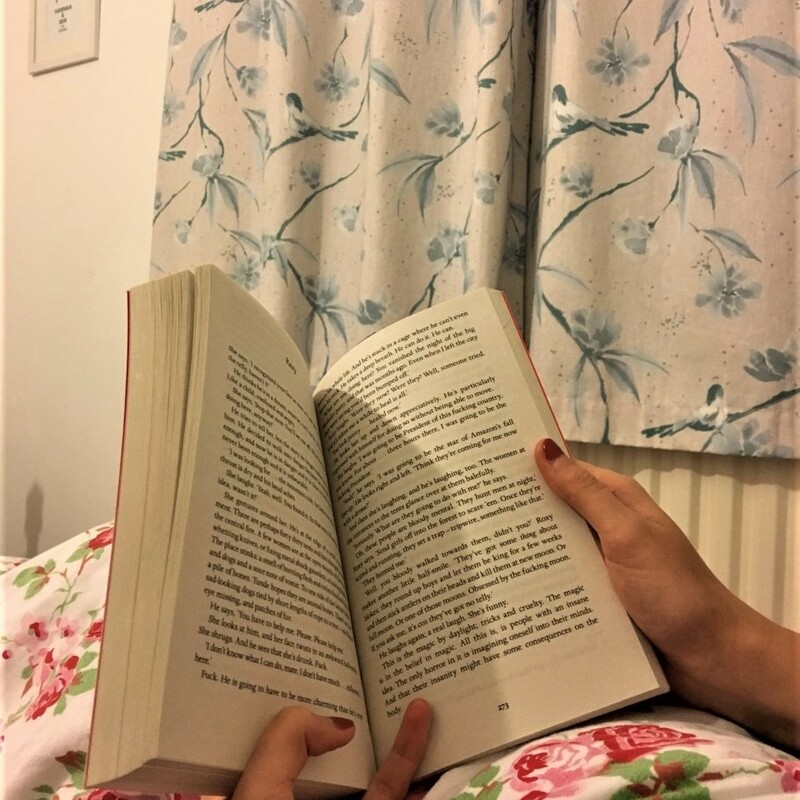 If I'm feeling a bit under the weather, or if I've had a bad day, snuggling up with a book is definitely something I'll choose to do. I love wrapping up in a blanket and getting stuck into a good read. Having a hot bath is bound to make me feel better. If I've had a bad day, or I'm feeling especially tired, I usually turn to my bath tub for some comfort. I try not to have too many baths because I know it can be a huge waste of water, so when I do have one, I tend to treat myself with a lush bath bomb which adds to the relaxing atmosphere. Usually when I'm run down, my whole body takes a hit. One of the things I do to practice self care is to give myself a pamper. I might use a face mask or just use one of my more expensive products. This isn't something I'd do as often as I'd like so perhaps this winter I'll find some time to use a face mask and relax. When you're feeling run down, you should probably head straight for a healthy nutritious dinner but sometimes that just won't cut it. If I'm in need of a little self care, I'll cook one of my favourite dinners - probably spag bol or sausage and mash. Self care is so important. If we don't look after ourselves, it's all too easy to get run down and then everything else in your life begins to slide. I know for me, at least, my relationships and work ethic, are all intertwined with my well-being so practising self care is incredibly important. It's been over two years now since I had a blog refresh, and I fancied a bit of a change as you can see. Whilst I loved my old blog design, I wanted something that had a couple of extra user friendly functions like the button which takes you back to the top of my blog for example. I kept my header, as I LOVE it but thanks to Phil at pipdig things are looking slightly different! In the past couple of months I've really been enjoying my blog, and have been posting a lot more frequently than the rest of the year. Sometimes it's easy to get caught up in everyday things but when you enjoy something, it's worth making the time for it too. Posting every Friday is a routine that I've got into, and I find it so helpful to have an achievable focus. I honestly have so much admiration for any blogger who works full time and posts more than once a week! If I feel like I'm falling behind with a posting schedule, I tend to lose some of my inspiration so posting once a week has been a game-changer for me. I'm looking forward to getting stuck in with my new blog design and create lots of new content. Travel has been a huge theme on my blog this year, but with no further trips planned (YET! ), I'll be focusing on lifestyle content which I'm pretty excited about. What do you think of my new blog theme? The House of MinaLima, located in Greek Street London, is the dream gallery of any Harry Potter fan. I was in London recently for my sister's graduation, and knew that we'd both want to check the gallery out. With Sarah's boyfriend in tow, we headed off to the dreamy pink building in Soho. It's such an amazing gallery, and you can really feel the thought that went into creating everything inside. It's worth noting that when you arrive you will need to book onto a free guided tour, you can't go around the gallery without a tour. We arrived and the first tour was full, but we only had to wait thirty minutes until the next one. It's definitely worth the wait. On the ground floor is the shop which you can peruse whilst you wait, or after the tour itself. There's prints, postcards and books - but they are fairly pricey. I fell in love with so many of the prints so I may have to go back and treat myself. Before long, it was time for our tour! Sadly, I don't remember her name but our tour guide was fantastic. She spoke for a short while in each room, and then let us explore ourselves. It's not a huge gallery, and they do fill the tours - but I found that we had enough time in each room to have a good look around at the incredible pieces of art work in the gallery. The first two floors, and half of the third floor, were filled with Harry Potter artwork. From newspapers, to 'wanted signs' and the marauders map, we were treated to some incredible pieces that had me wishing I'd recieved that Hogwarts letter aged eleven. Our tour guide gave us such insightful information which really helped us to visualise the way the artists worked. On the middle floor, she told us that Miraphora Mina had asked for the blueprints for the set so that when she hand drew the marauder's map, it would match the set! I especially enjoyed the artwork surrounding the Weasley twins shop. It was so bright and fun, and yet it still kept the magic of the darker more traditional pieces of artwork usually reminiscent of the Harry Potter series. It was so magical being in an art gallery full of the Harry Potter artwork, and there was even a Fantastic Beasts and Where to Find Them room as well which I enjoyed! MinaLima have such a distinct style and it will always remind me of my childhood, which was filled with the wizarding world. Have you been to the House of MinaLima? October is one of my favourite, and also least favourite, months all in one. It's bittersweet. It's my birthday month, so all of the celebrations that go alongside that are very exciting but it's also a reminder of how quickly life is passing by. It's been a good month though and I'm excited to see what the rest of 2017 has in store! 3 books read - I've read some excellent books this month including the rest of The Story of a Secret State by Jan Karski, and the one I'm reading now (The Hate U Give by Angie Thomas). Both are insightful and very eye-opening. 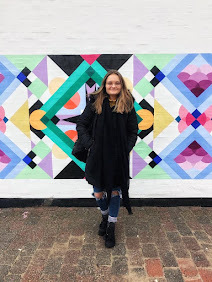 1 concert - I went to see Zara Larsson with two of my best friends, and we had the best time dancing the night away listening to some fabulous songs. 2 trips to London - At the start of the month I went to see my friend Mary, and we got Vapiano which is an Italian chain we discovered in Stockholm. It was lovely to catch up, and wander the streets of London. The second trip was during birthday week, and I went with the family to celebrate my younger sister's graduation. It was a lovely trip, and so nice to spend a few days in London. 4 nights out - So unlike me, but I actually had a fabulous time. I went out twice with Dan, and it was so nice to spend some quality time together having a dance. 1 graudation - My younger sister graduated at the end of October at the University of Greenwich. I was so proud to see her up there collecting her first class paramedic science degree. 1 birthday - I am officially 24, which is insane. I'm excited for what my 24th year has in store for me. October has been such a fun-filled month. I've really enjoyed spending quality time with my family and friends, and filling the month with birthday celebrations. I'm a very lucky girl! How has October been for you? Whenever I am in a new city, one of my favourite things to do it get 'up high'. Whether that be a rooftop bar, a tower or climbing a hill, it's definitely something I seek out when I'm exploring a city. There's just something magical, and breath-taking, about seeing the city from up high. It's a great way to spot famous landmarks, but also to get a feel of the wider city. I thought I'd include a couple of my favourite high up spots so far! New York City is magical from above. Our hotel room on the 32nd floor was insane, and 230 Fifth on Fifth avenue was an incredible bar offering stunning views of the city, especially the view of the Empire State building right in front of your eyes. I cant wait to go back! This free lift, and platform, in Luxembourg city was 65 feet above ground and offered stunning views of the 'Pfaffenthal' area of the city, and one side of the Casemates du Bock. There's also a glass viewing platform which was scary at first, but very cool too. 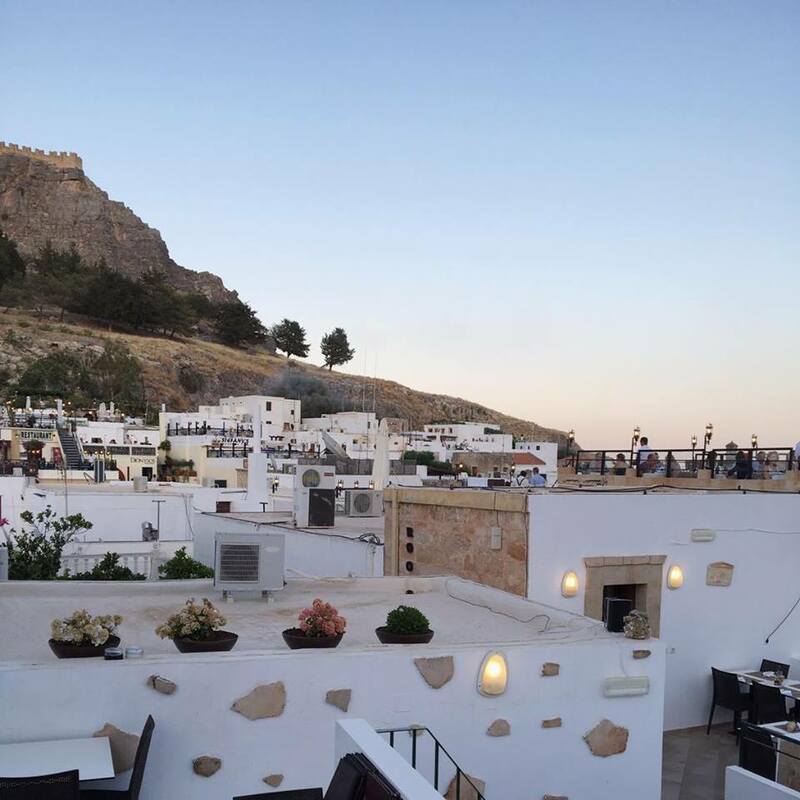 Any of the rooftop restaurants in Lindos will offer you some truly gorgeous views of the town, with it's whitewash buildings, the acropolis and the sea on either side. The perfect place to enjoy dinner and relax throughout the night. What are your favourite viewpoints around the world? I can't believe it's time for a birthday post again. Every year seems to fly by faster and faster, especially when I'm having fun. The last year has been one of change. So much has happened including changing jobs, moving into a new house with Dan and travelling to five new countries. Work is no longer a stress for me, and I love coming home to Dan in the evenings and watching something silly together whilst we make dinner. This year has taught me to stop living for the weekends and enjoy the time I get in the week too. I've also realised that there's a limit to what I can and can't take, and that life's far too short not to be happy. So, I made some changes and the changes were what made this year so good! I'm really enjoying my job, and am very grateful to have supportive colleagues. I really really love living with Dan, it's brought us even closer than we were before and has reaffirmed that of course we're meant to be! We have such a good time, from cooking dinners to cosy nights watching big bang theory. And finally, I've visited some incredible countries. After wanting to visit Ireland and Poland for years, we took trips to both countries which was even better than I had imagined! I've also added Sweden, Czechia and Luxembourg to my list whilst travelling with new travel companions - Mary and my parents. There's something I love about seeing somewhere new so much, and I'm so pleased I was able to travel more this year. Here's to the next year. I'm so looking forward to what being 24 will bring! Whilst I'm not much of a casual TV watcher, when I find a series I like, I'm hooked and have to binge watch as many episodes as possible. One of my favourite things about the Autumn is the great telly that comes back, and getting stuck into a series on Netflix. There are so many great shows on at the minute, but here are my five favourites at the moment. I love this programme, and I'm so glad it's back. The third season started off with quite a bit of criticism but I genuinely really enjoyed it. Michelle Keegan is fantastic as Georgie Lane and Captain James is the ideal eye-candy for cheering up a dreary Autumn evening. I'm excited to see what else this season brings. Dan and I started this one on a whim one day, and we're both so glad we did. The show is set in heaven, The Good Place, and follows Eleanor who's pretty sure she's not meant to be in heaven. There's a plot twist at the end of season one to keep you interested, and the episodes are short and sweet at 20 minutes long. Season four has just been added to Netflix (weekly), and I am so excited about this! If you've never watched it, it's probably one of the best shows I've seen in years. It's funny, and the characters are mostly warm and likeable. Jane is one of my favourite characters ever, and this show is one to watch if you're needing a good laugh! I'm definitely not the only one who is excited for this programme to be back... We're yet to decide if we're going to watch this one weekly, but either way I can't wait to get back into this one. Riverdale is based on the Archie comics, which I've never actually read, but I think the cast is excellent and the stories draw you in every episode. I'm about ten years late to the party with the one, but Dan and I are obsessed at the minute. If you've never seen it, the show follows flatmates Leonard and Sheldon, and their scientist friends. The shows are hilarious, and perfect for putting on when it's dark and cold outside. What are you watching this Autumn? Exploring the UK is something I have wanted to do more of for a while. Whilst I have visited a fair few places in the UK, there are still lots of place I'd like to head back to, or visit for the first time! There is so much more to see than the little South Eastern side that I tend to stick to currently. I've spoken on here before about how much I love travelling, and exploring new places, and recently I've been realising that I've been missing out on discovering my own country. I might have been to Liverpool, Bath and Brighton, but I haven't seen the beauty of the Lake District, or spend some time on a beach in Cornwall. Both of which are things I'd very much like to do. It feels a little bit like I've been ignoring some of the beauty of my own country, in place exploring the beauty of places further afield. The UK has so much more to offer than I've experience previously! One of the main reasons that I want to see more of the UK is to know the history of my country a bit better. I've always enjoyed history, and visiting castles and other historical places but there are so many places I'm yet to see! High up on my list are Stonehenge and Hadrian's Wall. The UK has such a rich history, and there is so much more for me to learn. Not only this, but the UK has so many amazing and vibrant cities I'm yet to step foot in. Manchester has always appealed to me, and I quite fancy Newcastle. I fell in love with Edinburgh last year, and I'm desperate to see more of Scotland after that trip. The best thing about exploring more of the UK is that more often than not, you can fit it into a weekend. This is great, because you get to see more of the world without having to use up your annual leave! Potentially, it might also be a cheaper way to see more of the world. Sometimes going abroad can be more expensive, and you are limited on ways to save money. Whereas, if you travel in the UK, you can save money by cooking yourself or driving somewhere instead of using public transport. Hopefully in the next few years I'll be able to see more of the places on my own home soil. If you have any recommendations, I'd love to hear them. Have you seen much of the UK? I love Center Parcs. Being surrounded by nature, having access to some fabulous places to eat and cycling around a contained village - it's magical. 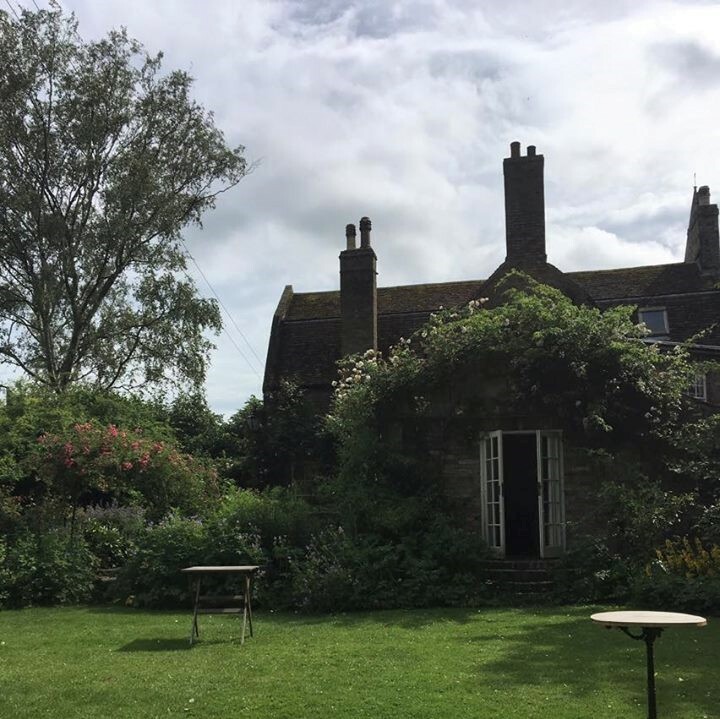 I've been a few times in England before, and once in Holland, but Dan had never been so when we found a deal at the end of September - we knew where we would be heading for a week of R and R! Woburn Forest is the newest of the Center Parcs, I believe it opened in 2014. We decided to book ourselves a stay in one of the three-bedroom executive lodges which also have a personal sauna. Whilst this may have been a bit extravagant, it was worth it for the week we stayed in the lodge! The lodge was gorgeous, so spacious (even bigger than our own house! ), and it meant we were able to properly relax and enjoy some quality time together. We both fell in love with the modern kitchen, and actually cooked some different meals which we have wanted to do forever. As some of the restaurants are very pricey on site, it was so handy to have our own kitchen to make lunches and save a bit of cash. Most mornings were spent in the lodge; relaxing in the sauna, reading our books and just generally enjoying taking some time out. The massive 'L' shaped sofa got a lot of use, and it was lovely to have trees right outside our door. We saw squirrels, rabbits, pheasants and even a frog! We went on a couple of walks in the forest, and made the use of our bikes whilst we could. Center Parcs can be quite expensive if you want to do a lot of the different activities on site, but one of the best things that does come included with your ticket is access to the Subtropical Swimming Paradise. We went every day during our stay, usually in the evenings, and it was so much fun! I even plucked up the courage to go on the Tropical Cyclone ride. I'd definitely recommend going in the evenings though, as most of the families will be back at their lodges and you won't have to queue up for the rides (bearing in mind we didn't go at a weekend, or during the holidays!). We did decide to pay for adventure golf though, and we were glad we did. Whilst the course isn't massive, it took us around 45 minutes to get round and it was so much fun! With a magical forest theme, it was decorated really nicely too. Dan also persuaded me to play a game of pool in the Sport Cafe which was good! Our midweek stay at Center Parcs was exactly what we needed it to be, a week of R&R. If you don't fancy heading abroad but really want to escape everyday life, Center Parcs is one of your best bets. Have you ever been to Center Parcs? Did you go to Woburn? September is that time of year where you really pinch yourself. It's hard to believe that the end of the year is coming already, and I always find September/the beginning of Autumn quite a lovely time of the year. It's been a good month, with a few relaxing weekends as well as a little staycation break at Center Parcs, Woburn. It's been a nice month, with a week off work spent relaxing at Woburn Center Parcs, lots of books read and the start of the good telly again! I'm looking forward to October, which is my favourite month of the year - unsurprisingly because it's my birthday month. What did you get up to in September? I recently visited Prague for the first time with my Dad. We had a lovely four days in the Czech capital, exploring and walking alot in the sunshine. As it was my first trip to Czechia, I thought it might be nice to do something a little different and put together a list of the things I'd recommend if you head to Prague. Which feels like a mini village! It is huge, and a long walk up the hill, but the views are worth it even if you aren't planning to go into the castle itself. There are two different tickets you can buy, depending on how much you want to see but I would definitely recommend the cathedral and the basilica, both of which are accessible on either type of ticket! The Golden Lanes was something I was super excited about, and whilst it was interesting it was very very busy. We did this on our first day, and whilst it was slightly more expensive than other bars/restaurants, it was well worth it. It was nice to relax in the sunshine and look at the bridge and the river Vltava. Charles Bridge is also beautiful to stroll across, and I'd also recommend going up the tower museum on the Old Town side of the bridge for some beautiful views. I can't remember the exact price of this, but it was very affordable! We did the 50 minute tour and it was well worth it. It cost £21 for both of us which I thought was very reasonable. The staff were excellent, and the tour was informative too. It was great to see more of Prague from the river, and Prague Boats was a great way to do it. They have information coming from speakers in more than one language which was excellent! Whilst this was incredible busy, when the astronomical clock does it's thing on the hour, you'll be glad you waited in the mass of tourists. Despite it being boarded up, it was truly stunning and I really enjoyed watching it. There are figures of the twelve disciples which come out of the top of the clock which adds to the interest! For some truly stunning views of Prague. You can use this as part of the public transport tickets, and it is nice to do something different in a new city. We really enjoyed this, and whilst we didn't stay for long at the top of Petrin Hill as we wanted to explore the old town further, I reckon it would be a really nice place to spend an afternoon. My first visit to the Czechia was great! I had a lovely time away with my dad, and it was great to visit Prague, a city I'd heard such good things about. One thing that definitely surprised me was how big it was, and I've since learnt that it is the 14th biggest city in Europe, which makes sense to me. Have you been to Prague before?